In this section of the website you will find useful information that will help you when you are learning to drive. In 2010, there were important changes to the practical driving test. The test now includes a ten minute independant drive. The reason for this was simple, it is so that the candidate can demonstrate the ability to follow road signs and verbal directions (or a combination of both and possibly including the use of a diagram) in order to get from A to B without loss of awareness and safety of drving skills. During the independent drive section the examiner will not give instructions. So not only will you have to know how to get from A to B, you will still have to do it safely, signalling at the right time, being in the correct lane for a roundabout, take the correct exit, sticking to the speed limit etc, which are among a list of things that a learner/driver should be able to do if at test standard. 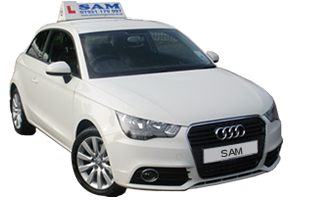 It doesn't matter if candidates don't remember every direction, or if they go the wrong way as long safe driving is demonstrated, if the candidate goes off the intended route then ask the examiner and he/she will be happy to help. In order to allow time for independent driving on the practical test, the number of reversing manoeuvre will be cut to one, of course you won't know which one! This for many learners will mean more preperation time for the test as they will need to increase their independent driving skills. Pass Plus is a course designed for young and newly qualified drivers to make them safer, more confident road users and also extend knowledge and understanding of different hazards/situations that can often occur on the roads.